The definitive critical introduction to American society. 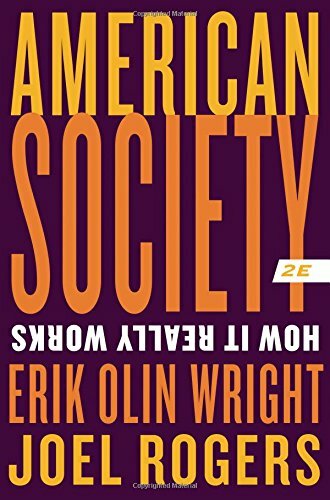 In American Society: How It Really Works, Erik Olin Wright and Joel Rogers ask several key questions: What kind of society is America? How does it really work and why is it the way it is? In what ways does it need changing, and how can those changes be brought about? To answer these questions, Wright and Rogers identify five core social values that most Americans affirm in one way or another: freedom, prosperity, efficiency, fairness, and democracy. The authors then challenge readers to question to what degree contemporary American society actually lives up to these values and suggest how we might make progress in solving some of the social problems that confront America today.